This is my first attempt to make a Sailor's Valentine. 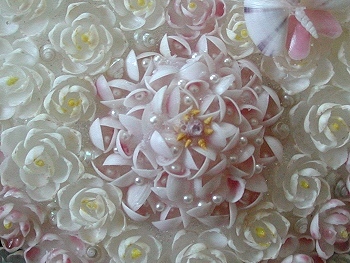 It took me many hours and approximately 2,600 shells to make this 10 inch valentine. The background for the main part is olivine sand which I collected from sand from Kauai. It was picked from thebeach sand one grain at a time. 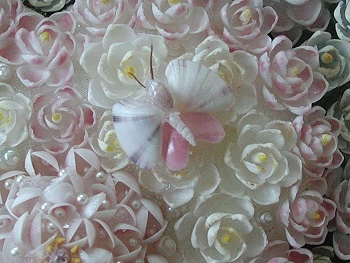 The flowers are made from crafting shells purchased over the years. 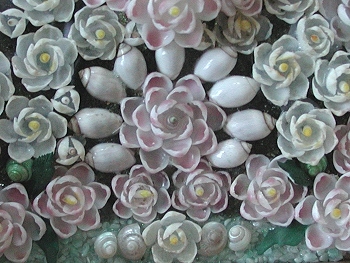 The leaves are painted gar (fish) scales. 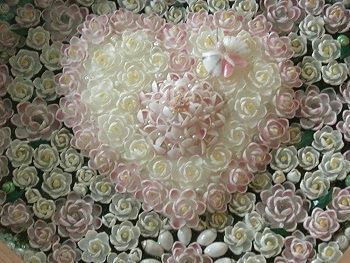 Sailor's valentines originated during the whaling era as a romantic token from the sea that homesick sailors fashioned for their loved ones back home. Soon natives learned of these crafted tokens and started making them for the sailors to buy while in port. 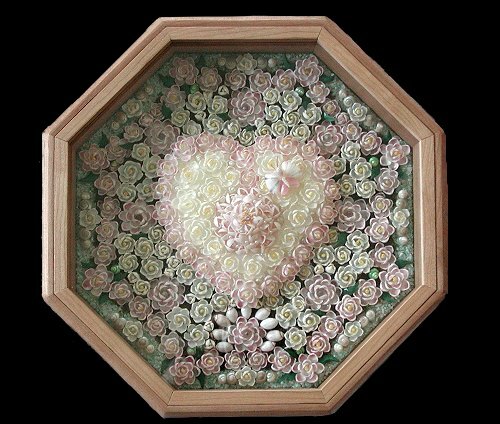 Antique valentines are a sought-after collectible while a growing number of artists continue the tradition, each adding a new dimension by virtue of their own particular styles.